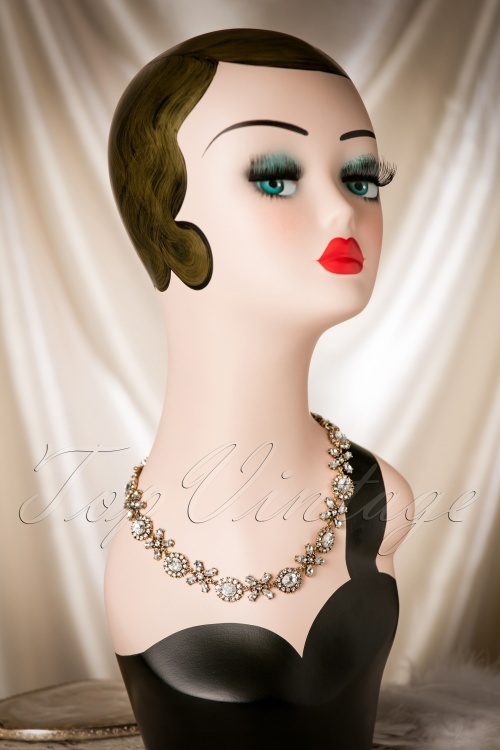 This 30s Bling It Up Necklace is a real masterpiece! 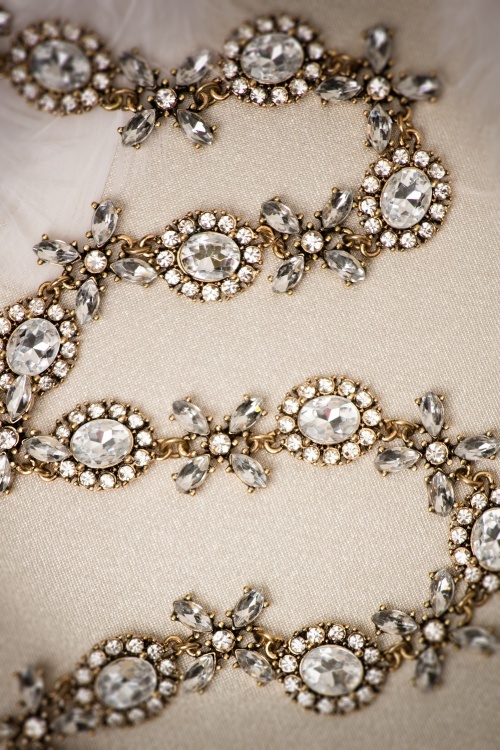 ''Shine bright like a diamond'' with this stunning short necklace ;-) Made from a heavy quality, antique gold toned metal and set with shiny rhinestones and classy facetted faux diamonds. 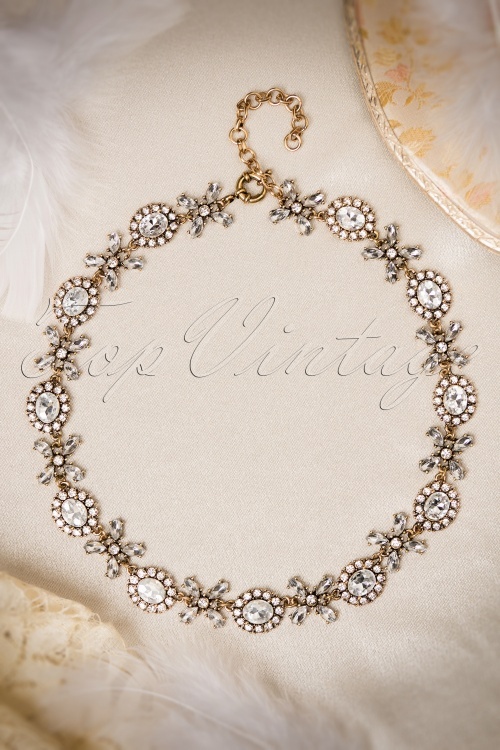 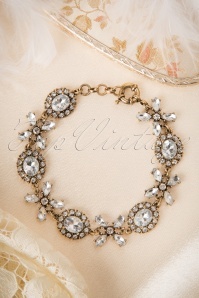 Even the most plain outfit gets a super classy and festive look thanks to this vintage style beauty! 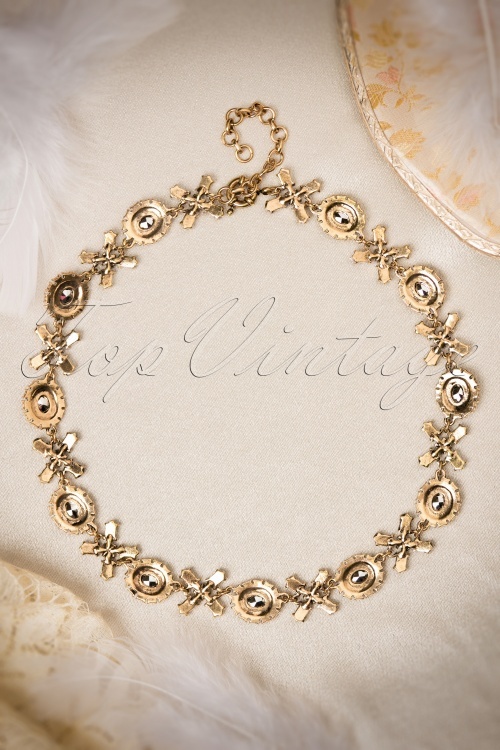 Prachtige ketting maar redelijk kort ,had ze liever iets langer gehad ondanks dit ga ik ze toch houden ,het is te mooi!